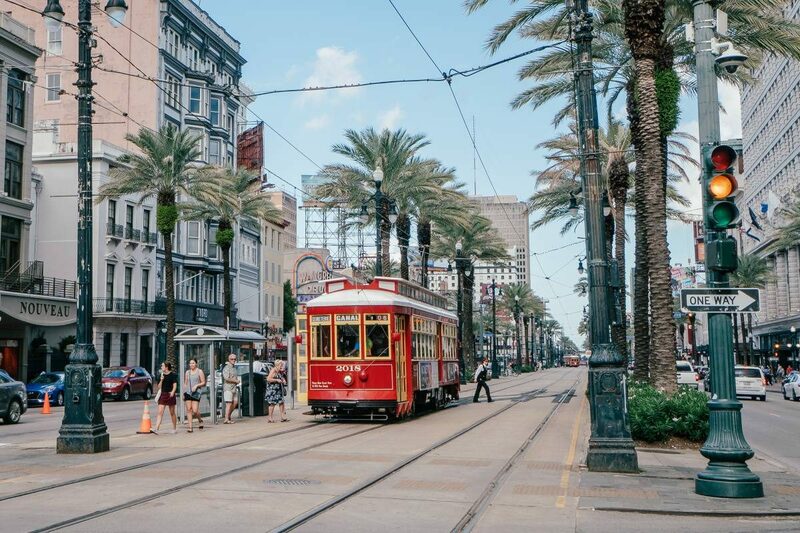 New Orleans is a place that’s world-renowned for its distinct jazz music, Creole and Cajun cuisine, and most notably Mardi Gras. Many visitors come to New Orleans to eat and drink, as nightlife in New Orleans is very vibrant and street drinking is legal. Not surprisingly, the city’s official motto is “Laissez les bons temps rouler!”(“Let the good times roll!”). However, if you’re not into a party scene, let me tell you that New Orleans has plenty to offer. The city has many quirky museums, great spots to eat and historic points of interest. 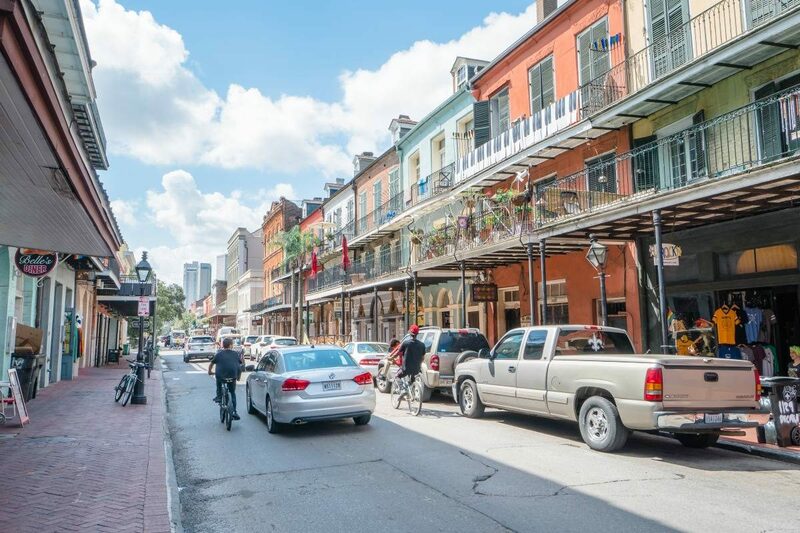 If you’re staying in or around the French Quarter, where most hotels are located, you can easily get around most areas on foot. During my time in New Orleans, I stayed at Ace Hotel in the Central Business District, only a 10-minute walk from Canal Street. I ended up using Uber a few times when it was dark as I didn’t feel comfortable walking solo, but during the day it’s not an issue. You should also hop on a streetcar at least once during your visit. An adult fare on the city’s two major streetcar lines is just $1.25 for a single ride, or $3 per day (bring change) and you can admire the old houses on St. Charles Avenue. It’s a really nice drive, away from tourist crowds. 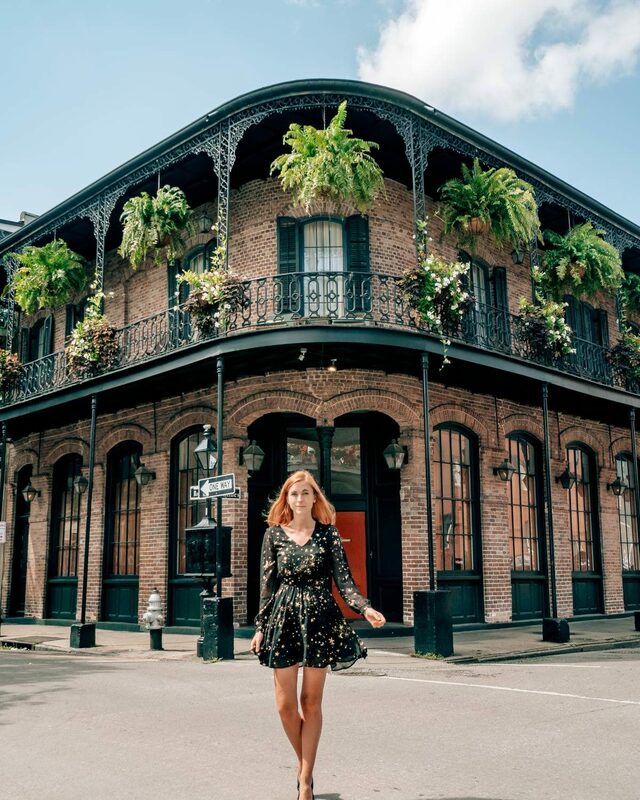 Did you know that New Orleans is consistently ranked as one of the spookiest and most haunted places in the US? Most of these haunted spots in the city are also historic places, so even if you’re not into spooky haunted places you can definitely pay them a visit. 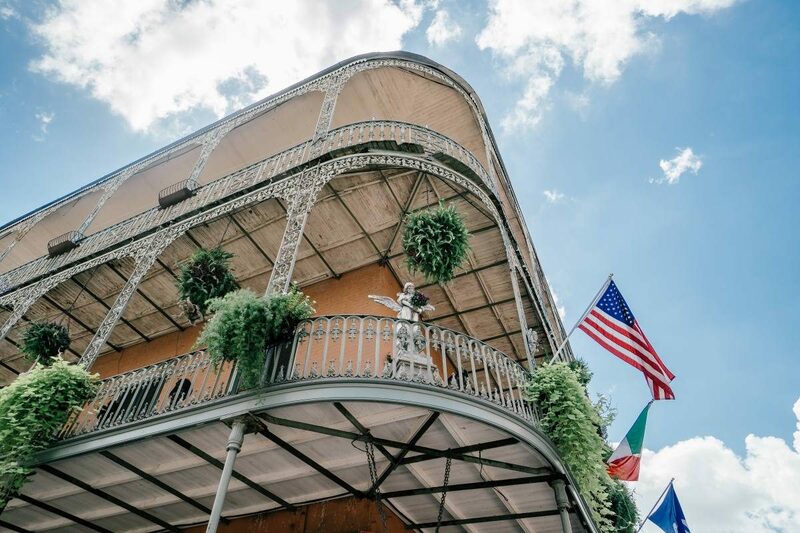 The historic heart of the city is the French Quarter, known for the French and Spanish Creole architecture and vibrant nightlife along Bourbon Street. That’s where you’ll probably begin your tour of the city. What should you see there? 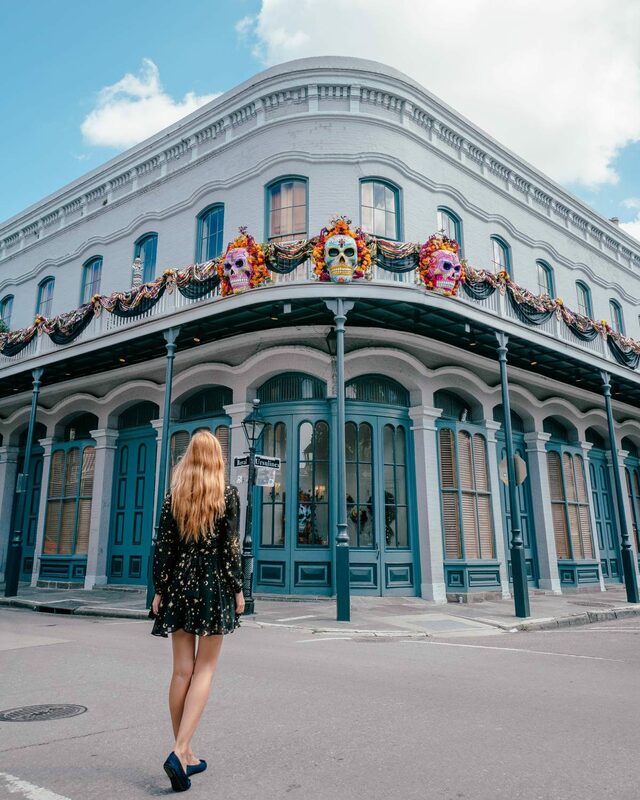 Hotel Monteleone – The haunted hotel has an elevator that apparently stops on the wrong floor and houses spirits of playing children. It also has the coolest bar I’ve ever seen – a carousel that slowly spins around. My tip: The bar opens at 11 AM and remains packed all day. Your best bet is to go at 11 am. If you don’t drink, fear not, you can always get a bar snack instead. Pharmacy Museum – America’s first licensed pharmacist practiced in New Orleans and took joy in performing exploratory surgeries, especially on the ladies. The place is believed to be haunted by the ghosts of those women. Lalaurie Mansion – A house owned by Madame Lalaurie might have seemed like a normal house, but an 1834 house fire led to a discovery of a torture chamber. 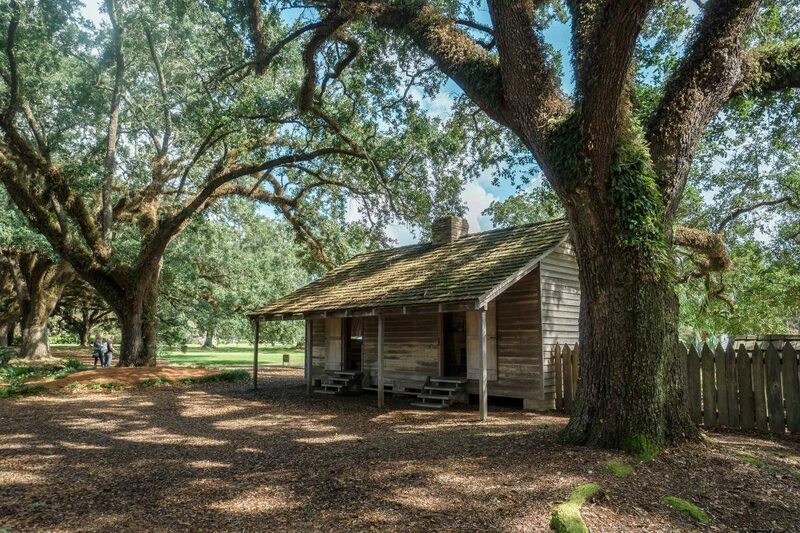 She had various slaves chained all over the house and while the current owners admit to some weird events, haunted or not, it’s a very spooky place. Madame Lalaurie was never found, as she managed to escape. You could go inside before, but the current owner made it off limits. The house was previously owned by Nicolas Cage. Museum of Voodoo – New Orleans is known to be the place where Voodoo was introduced into the US. Slave ships from West Africa first brought Voodoo to Louisiana, as practitioners knew which plants and herbs could heal and which could bring about hallucinations, sickness, and death. While Voodoo has been ‘demonized’ by entertainment, voodoo was only meant for good rituals, not to make some suffer. You’ll learn a lot about the history of voodoo at the museum. It’s quite small, but if I enjoyed my visit. 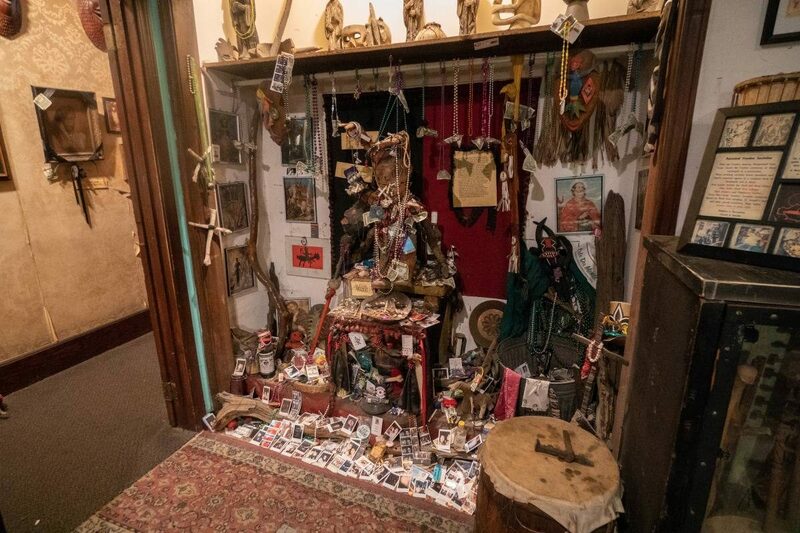 Marie Laveau’s House of Voodoo – Marie Laveau was the most well-known figure in Voodoo history as the first widely known Voodoo Queen back in the 1800s. However, this place is basically a souvenir shop. 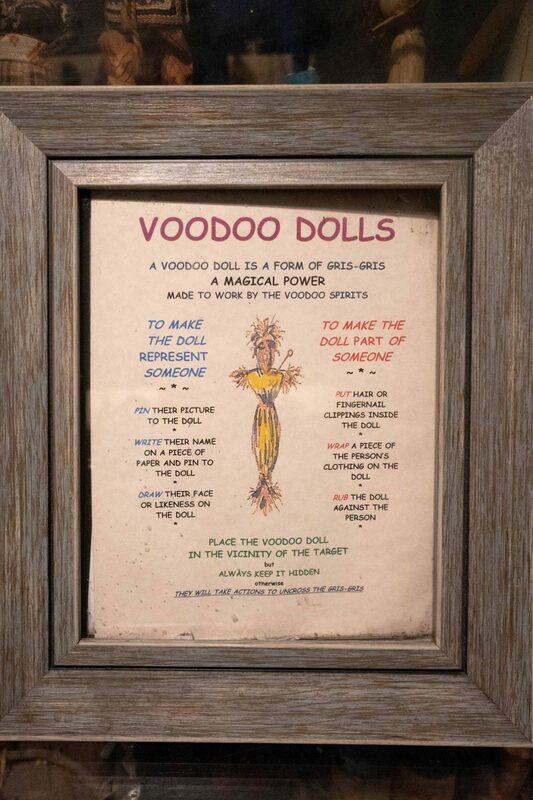 You’ll learn more about Laveau’s history at the Voodoo Museum. Buckner Mansion from American Horror Story: Coven – If you’ve watched AHS: Coven (my favorite season) you can surely remember the witches school. 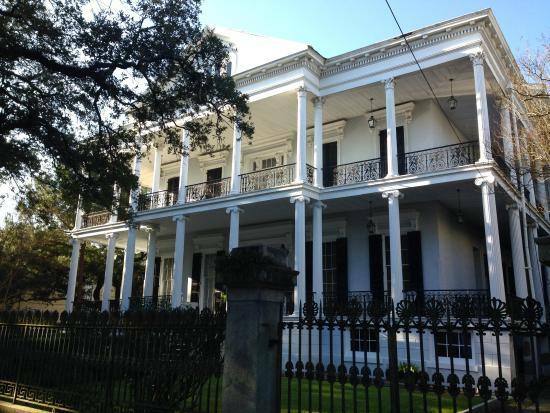 The mansion does stand in New Orleans and you can actually rent it for a hefty price. Unfortunately, you cannot go inside, but you can admire it from the outside. Spoiler alert: only the outside scenes of Coven were filmed at the Bucker Mansion, but the inside was not. It was a set created in the studio. Lafayette Cemetery – Cemeteries in New Orleans are very interesting to see. The tombs, unlike in other parts of the US, are being built up instead of into the ground. Why? Because of the swampy ground that with floods was pushing the bodies out (zombie apocalypse?). It was also a place where jazz funerals, a distinctly New Orleans tradition, originated. They became popular in the African American community in the late 19th century. It was a procession accompanied by a brass band, in order to celebrate the way to the new freedom. St. Louis Cemetery No. 1 – It’s believed to be the most haunted cemetery in America and where Marie Laveau’s tomb is located. Visitors used to write ‘X’s on the whitewashed mausoleum in hopes Laveau will grant their wishes, but it eventually caused the tomb to go under restoration. A large fine is now in place for any visitor who attempts to write on the grave. St. Roch Cemetery – I stumbled by this place when coming back from a picturesque City Park. The chapel’s small side room at the St. Roch Cemetery is packed with prosthetics, braces, private notes, anatomical casts, creepy dolls, grimy stuffed animals and sometimes even locks of hair pinned to the wall, served as offerings to St. Roch. Oak Alley Plantation – Oak Alley Plantation is apparently haunted and apparently appeared on the episode of Ghost Hunters in August 2008, but I didn’t know about it until after my visit. 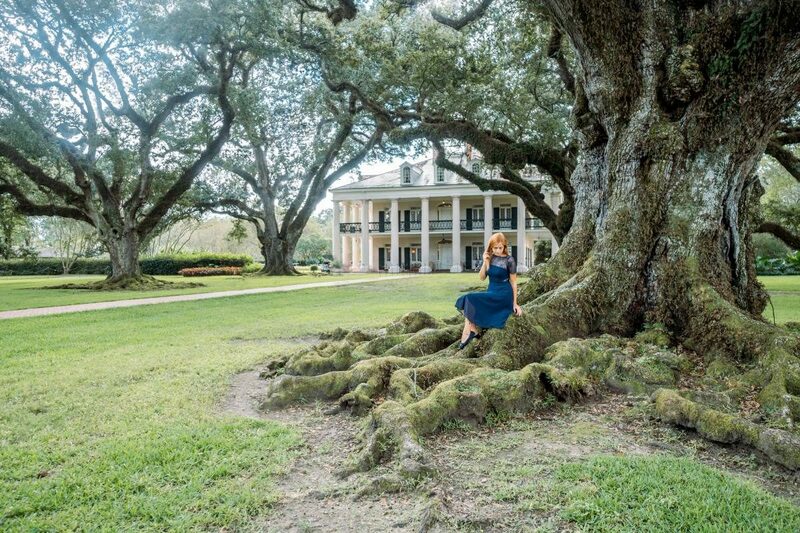 Oak Alley Plantation is undeniably a picturesque place with its famous oak tree tunnel leading to a classic-southern mansion. I wasn’t sure if it was appropriate to take photos, due to its notorious history of slave-ownership, however, it’s very popular for wedding photos. As a European, it surprised me that this history has been glossed over a bit — instead of focusing on stories of the family who built the plantation and movie/music productions filmed there (Interview with a Vampire & Beyonce’s Deja Vu music video). While there was a simple slave exhibition, it sat next to a bar and souvenir shop. Just didn’t feel right — like people are trying hard to forget this part of their history. In many parts of Europe, the darker parts of history are more in-your-face — to remind us never to forget. 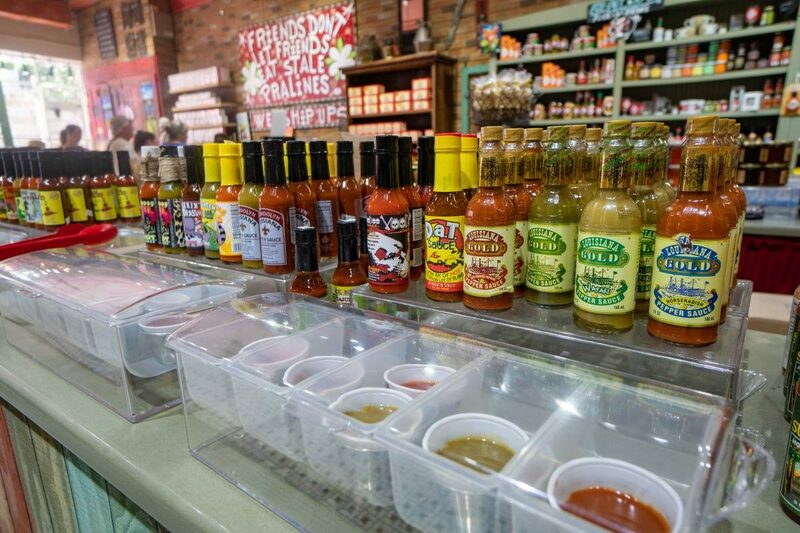 I can’t talk about New Orleans without talking about its food. The city is surely dominated by Creolean food, which involves a lot of seafood. The most popular dish is Po-Boy which can be found on every corner. It’s an overstuffed sandwich made from fresh French bread slathered with mayonnaise and crammed with fried seafood like Gulf oysters or shrimp, and other meats like roast beef, sausage or ham. Other popular dishes include gumbo – stew with rice, jambalaya, Beignets, turtle soup, alligator meat, and lots of fresh oysters. I had a chance to visit the traditional restaurants in New Orleans, as well as some less popular spots. On my first day, I was quite surprised that many restaurants don’t have any vegetarian, leave alone vegan, items on the menu. 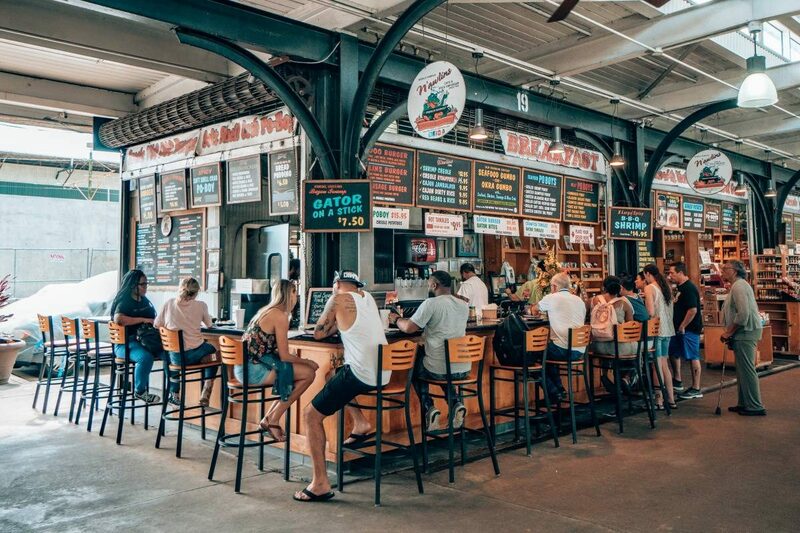 That said, if you don’t drink alcohol or like seafood, you need to do your food research in advance, but it doesn’t mean that you’ll have nothing to eat in New Orleans – quite the opposite! Cafe du Monde – This cafe is a symbol of New Orleans with its beignets (powdered sugar coated donuts). Maybe I’d have had a different experience if I went to their location outside of French Quarter, but the 24/7 open-air cafe at Jackson Square felt slightly too touristy to me. Their beignets are delicious though! Brennan’s – So many of my Instagram followers messaged me to go to this place. Brennan’s didn’t disappoint. The setting was beautiful, and they had many great choices for brunch/lunch. I’d surely recommend and come back to this place. Arnaud’s – The oldest restaurant in New Orleans. The place is said to be haunted, but I can’t vouch for it myself. Count Arnaud himself appears in the main dining room dressed in his tuxedo, surveying the guests and smiling at the energetic atmosphere. Guests also have reported seeing a woman in a hat casually stroll through the dining room only to disappear into a wall. Cafe Soule & Maison Soule – I was originally going to stop by Antoine’s from 1840s, but half of their restaurant was under renovation, so I accidentally stumbled upon this spot across the street. I loved the friendly atmosphere as the servers really interacted with everyone. Food was delicious too! Green Goddess – I discovered this spot through Instagram when looking at quiet streets to photograph, then stopped there for a quick bite. They have many vegan and non-vegan options. Seed – Even if you’re not vegan you need to eat at Seed! If you go before 7:30 PM you’ll get a table quickly, but after the line became quite long. Their food is absolutely delicious (especially artichoke cakes), and I wasn’t surprised that all the locals I met loved this spot. 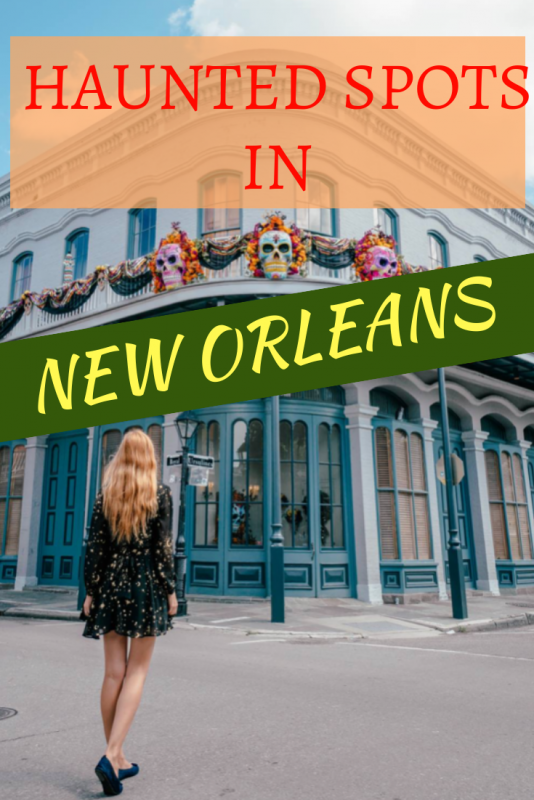 There are so many more things to do in New Orleans than those I described. Everyone can find something to do whether you’re a party animal, family with kids, couple on romantic holidays, or a solo female traveler! This trip was made possible in partnership with New Orleans & Company, however the choice of activities and opinions is strictly my own. Previous Post Why Did I Travel to Eritrea? I visited New Orleans last summer (2018) and I can;t say that I visited a haunted house. I actually visited an old house (to buy it), and when I made some pictures inside the rooms to show them to my family, we have realized at home that in two of the five images, we can see some creature made of yellowish light looking at me. I don’t know if that was a ghost or something else, but it looked quite spooky. This is simply an amazing experience to read your blog post. I would love to visit all the places of New Orleans. Plan to go in the next year so this is super helpful post! Is Istanbul Safe to Visit Now as a Woman?